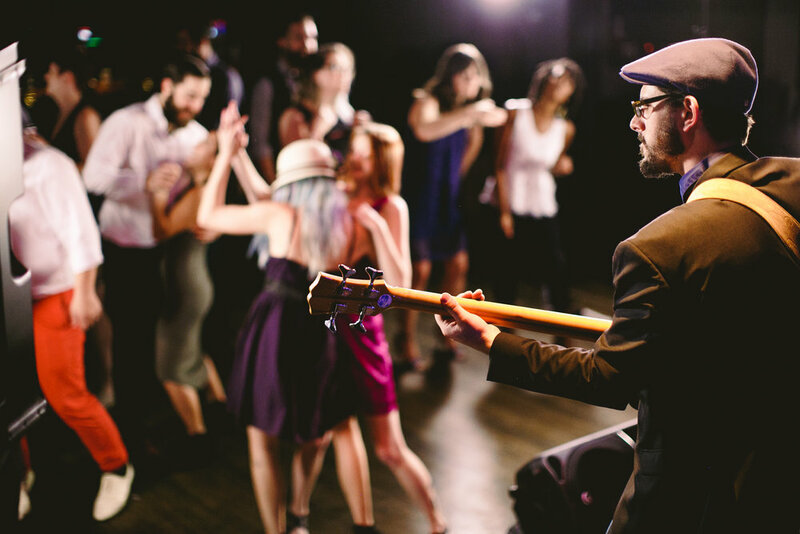 Ivy Hill Entertainment works with the local musician community and event professionals to offer outstanding wedding entertainment for our clients. Keep your guests dancing with our variety of top notch reception options. Co-Founder Matt Roads can help you find the perfect fit for your big day. Just click the button below and ask away! Also, make sure to check out our Unique Reception Bands too! With IHE's Build A Band, you can choose from more than 10 band leaders to assemble a musical community that knows the wedding classics and contemporaries, but can easily accommodate your particular style. We are honored to welcome DJ Bothsides, aka Tyler Huffman of Cage & Aquarium to our DJ roster. Through 10 years of running C&A in Chicago, Tyler has built an impressive turntable-only wedding event company. Not only is he available for your event but he is now training the musicians in our Musician/DJ program.